An unique variation of the costus family, with leaves growing only along one side of the stem, make for a classic spiral. 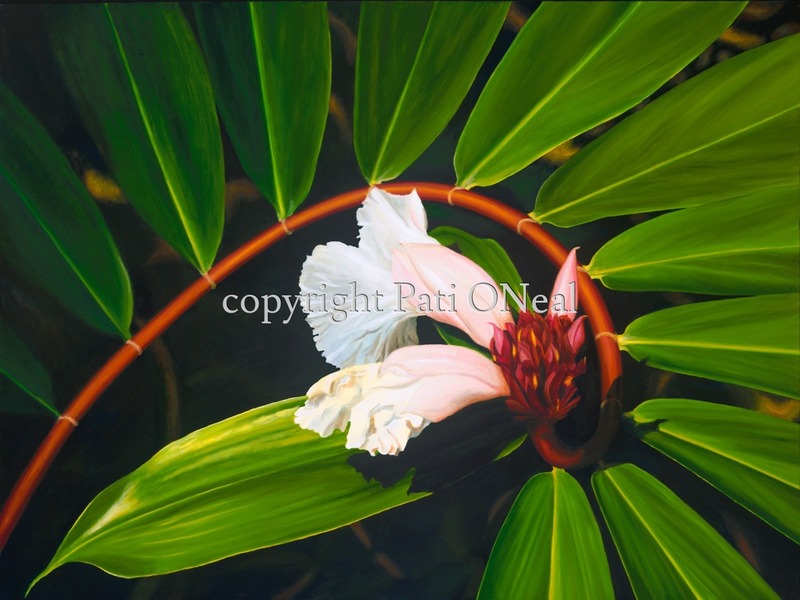 Original oil on canvas, currently at Sunshine Arts Gallery in Kahalu'u, O'ahu or contact the artist for purchase information. Limited edition giclées and open edition matted mini-prints also available.